When I heard those words two years ago, they really resonated with me. The context was teaching toward proficiency, but really, I think they’re good advice for life in general. 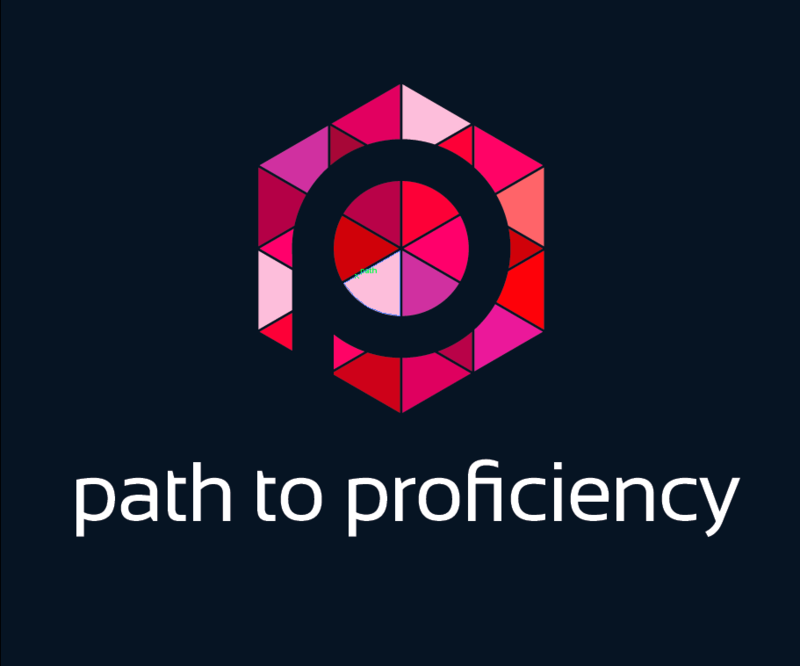 Since 2014, in teaching toward the goal of student proficiency, I have become a better teacher. Obviously a better teacher of language and SLA, but really, I have become a better teacher of people. I’ll say that again: proficiency has made me a better teacher of people. In learning the rubrics and indicators, I’ve had to really hone my ability to analyze my students’ language development (or lack thereof, sometimes). What is the difference, really, between novice low and novice mid? Novice high and intermediate low? And then, how do I articulate that to a student? i.e. “You can level-up your language here by ______,” in student-friendly language that’s measurable and attainable. Whew – it’s a lot to think about! And then to lesson plan around being able to actually have time to have those conversations while not tearing your hair out and/or wondering what the other 35+ are doing? Ha! Sorcery, I tell you, sorcery. That listening, however, is critical. We (who teach Spanish) listen for “del” versus “de el”, “al” versus “a el”, “la casa de Josie” versus “Josie’s casa”, or “quiero llevo” versus “quiero llevar” all to determine what kind of input they need more of, less of, wayyyy more of, and so on. When we listen that way, it forces us to focus on what they CAN do and ARE doing NOW, rather than what they are not doing – that is critical. Proficiency focuses on the positive, not the negative; the additive, not the subtractive; what they can produce, in addition to what they can interpret. The question becomes, are we doing that when our students talk to us not in their L2, just casually, before or after class, venting or celebrating, complaining or observing, are we listening that acutely? Because of this, I have found over the past three years that I have become a better listener, to their Spanish and their English. Statements that before may have annoyed me, or angered me, or upset me, no longer really do, because I’m listening to understand where they’re coming from, what they’re really saying, not just my perception of what they’re saying based on my current mood, lens, and idea of who I think they are, all of which can skew unfairly. Suddenly, I found myself leaning in more this year, and saying things like, “Really? Now, what makes you say that?” after a student says something politically charged or makes an assumption/generalization that may not be accurate or fair, necessarily. We as teachers sometimes forget students are only X number of years old; listening to just the surface of what they’re saying can cause us to feel negatively sometimes and therefore not really hear them. Many times they bounce ideas off of us because they respect us, or our opinion, or both, they just don’t know how to word it. I am a very animated person, and have a great rapport with my students – but this means that as a very young teacher, I would often have sarcastic remarks, or eye rolls, because I was being silly with them. As the Sizers wisely wrote, “the students are watching” – lest we think for a moment that they aren’t taking that all in and that our responses aren’t powerful, always, because they are, for better or for worse (we get to choose). In retrospect, I’m realizing I was sending mixed messages – reflecting on how much I cared for them and truly loved teaching them, but then sometimes snapping at them or dryly putting down something they said in the name of humor. We were comfortable with each other, and therefore I thought they got that as part of my personality. The truth is, I wasn’t being a very good listener, to them or to myself, and proficiency has changed all that. Just when we’re ready to react sometimes, it’s important to pause, but it’s also important to listen to our students, not just hear them, but also listen, and decipher what they’re really saying, like we would their L2. We have figured out how to teach them the implicit intricacies of language, let’s make sure we allow them to teach us the implicit intricacies of themselves. I definitely found some takeaways for myself here. Thanks for posting!